April 20, 2019 - The story is, frankly to me, a bit boring, but if you get the the bottom of this page from the Spanish Institute of Puebla, you will see a list of resources that will likely contain a tool you can use. 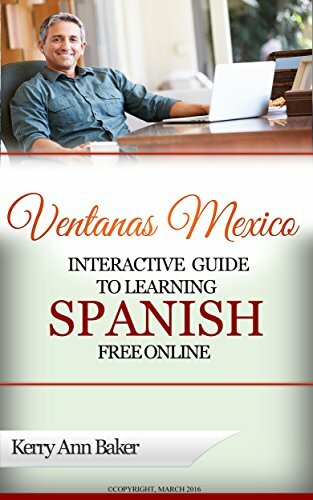 Thank you for purchasing the "Interactive Guide to Learning Spanish Free Online." Since I use the book myself almost every day, I am always finding new ways to use its tools, and make those suggestions here. 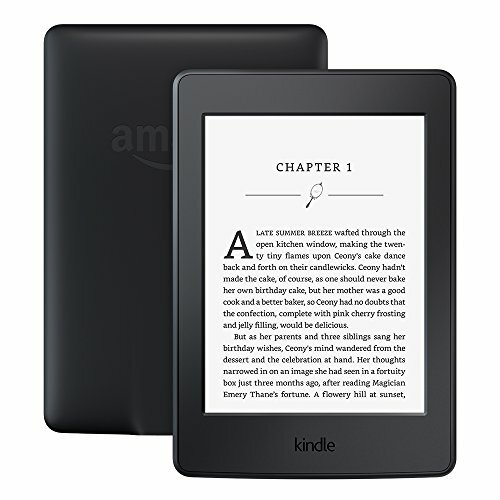 Web sites included in the book may change their organization, add new features or a link may take me to something new I want to tell you about. At the bottom of the page, "Updates" gives you changes in websites, or if they no longer exist. Tip #1: Briefly scan all the screenshots. While it’s tempting to go straight for the lesson plans, get a little familiar with all the tools at your level. Not every tool is included in the lesson plans and you will probably find a few you like better than I did. Tip #2: I didn't write anything about Spanish/English exchange groups that exist in Mexican towns if you are already an expat. I made my best Mexican friends directly and indirectly through such a group. Like “domestic” groups I mention in the book, consistency is crucial. Go every week, whether you think it’s helping or not, for at least a year. You never know who will drop in and out who could become your M.B.F. “Mexican Best Friend.” I write about this in several blogs. Tip #3: I have become a real fan of Readlang's “Word of the Day” since printing the book. They send you some words to practice every day with flashcards. It just takes a minute to run through them and they repeat the words every session. Tip #5: Learn Spanish Feel Good is a new site I just discovered. This also has an English component - great for your Mexican friends learning English or your language exchange partners. Tip #6 - Advanced students only. I left out streaming news sites but included radio stations (does anyone actually listen to radio anymore?) I will include a more complete list later. The website Spanishnewyork.com also has a listing. Tip #7 - Practice all skills. You may think you will never write, for example, but each skill helps develop other skills. Tip #8 - When you are scanning lesson titles in different sites like Esaudio.net or the Spanish Language Blog, it's easy to see a title and think, "I already know that." Listen to the entire lesson anyway. Almost always it covers vocabulary or a point you didn't know. Tip #9 - Instead of studying lists of words, take the word, plug it into Spanishdict.com and study the sentence examples where the word is used in all the different contexts. If you're an intermediate student, translate the sentence from English to Spanish. Tip #10 - If you found my book through the Amazon site, you may not know that many of my blogs are about learning the language so check the blog category index "Learning Spanish." Tip #11 - #2 - Carlo Slim's foundation's Aprende.org is a Mexican site for general learning. Ultra-short courses will test your listening skill and teach you a few things. YouTube also has a large catal0g of National Geographic documentaries in Spanish. It will be included in my next edition. Tip #12 - For advanced learners, I highly recommend RTVE.es/alacarta/videos/telediario. The site is in the book, but I think this link is particularly helpful. Tip #13 - New resource for early intermediates! Brought to me by a Spanish language partner. Blogdeespañol.com out of Spain. Definitely will be included in next edition for reading. #1 - It appears Verbs Online is no longer functional. Try Spanishnewyork.com. Andrian Gonzales Martinez has an excellent verb trainer on his site. #2 - Esaudio.net no longer allows access to Audio although the extensive grammar library remains a great tool. Each video is only a few minutes long and he has some hacks that are very useful. #3 Gringo Spanish is now called The Spanish Dude. As someone who stays away from the word "gringo," I must say I approve. # 4 The fabulous tool, 1,2,3 Teach Me has changed the tab called "5,000 Phrases" to "Spanish Sentence Maker." These are in essence verb drills. #5 - As mentioned in the description of Spanish Wizards, the site frequently changes format. Unfortunately, one of the changes has been to remove the adorable free conversations. The site no longer has any free features. Big mistake. #6 - Study Spanish website has fresh new look! Same great tool. #7 - The Mixxer website address is not themixxer.com but rather https://www.language-exchanges.org/. The site helps you find language partners. Regardless of whether you found practice partners through this site or another, its lessons would be a great for partner practice if you wanted something more structured than conversation. #8 - About.com is now Dotdash.com - and not even close to what About.com was about. It doesn't even have a search bar! All that great content on learning Spanish...lost. #9 - BSUU used to offer their writing feature free. Now it's a premium feature. Sorry! Fortunately, free alternatives are listed in the book, such as Lang 8.